"It’s wet. The rainy pavements of Oxford’s medieval streets are reflecting the moonlight. 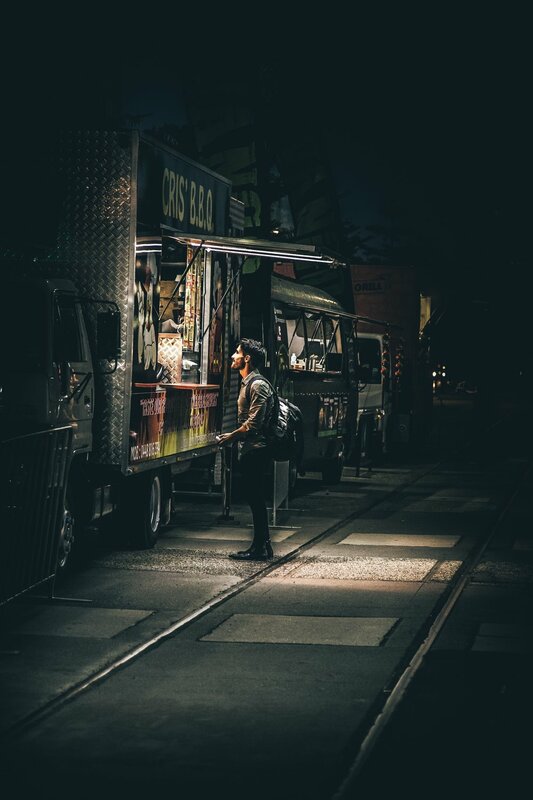 It’s the middle of the night, and most of the silhouettes one can barely see in the darkness are lamely converging at the same points: foodtrucks." It’s wet. The rainy pavements of Oxford’s medieval streets are reflecting the moonlight. It’s the middle of the night, and most of the silhouettes one can barely see in the darkness are lamely converging at the same points: foodtrucks. Around them, queues are growing despite the coldness of the British night, people rubbing their hands together, hoods over their ears. They are the true sovereigns of the night, their culinary might can fill all kinds of starving bellies: from Monday to Sunday, a dozen foodtrucks are dispatched all over these Oxford streets from twilight to dawn. 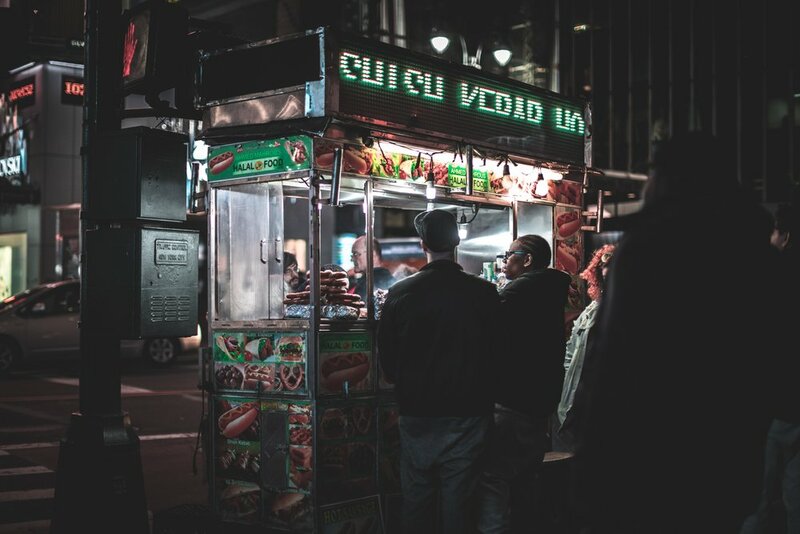 For ridiculously cheap prices, they sell £2 hamburgers, kebabs, fries and other favorites to satisfy the midnight hunger of all kinds of night-time wanderers. As such, they play host to the rare coming-together of the city’s hugely disparate social classes. For a growing group of Oxfordians who have no time to dream about iPhones, Hassan wins every day. Alongside students, Hassan caters to a very different section of Oxford's population: the city's rising number of homeless inhabitants. Like the rest of the UK, homelessness is on the rise in Oxford, and fancy shop windows give shelter every night to the hundreds of people who can no longer afford the exorbitant cost of life in the most expensive city in the country. For these homeless people, foodtrucks are the only place guaranteeing a cheap substantial meal, funded for many by selling magazines on behalf of charities. Every weekend, two worlds collide in front of these foodtrucks. Coming from every part of earth, the thousands of Oxford students belong, for the most part, to the highest social classes of their respective countries. 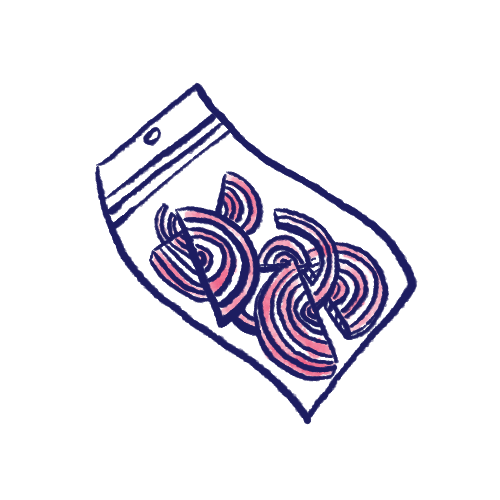 On any given night, they leave prestigious formal dinners with their mandatory bow-tie suits, pursuing their evening in overheated noisy pubs, ending the night munching on a burger in front of the same food trucks. The long queues filling the streets at these nightly occasions are actually one of the rare phenomena connecting two extremes of English society who seek a common goal: the immediate and delightful relief of a starving stomach. They queue together, without any other interaction than the impatience to get food. Let’s be honest, I am one of these students. I appreciate the Oxfordian vie de château as well as devour midnight junk food in the aftermath of crazy Oxford nights. Queuing at one of these street-food places gave me a more striking view of the precariousness in which so many English people live. Not to say that it doesn’t exist in my home country, France, where the problem is the same. But Oxford’s elitism, prestigious colleges, exclusive restaurants, shops, and high-spired halls can quickly make you forget about harder realities. “I have been in this situation for ten years. But I have a place where I can sleep, so I don’t complain.” This is, in short, what was told to me by a young man called Paul, one weekday evening when I had been too lazy to cook and had instead stopped by Haki’s truck. With his indeterminate age, sparse teeth and couth elocution, Paul ordered a humble portion of fries after I proposed to buy him anything he wanted to eat. I could feel in his tone the fear of being seen as “another one of those homeless people”. Here is the great divide in Oxford, home to the most famous of UK universities but also considered as the Great Island’s homelessness capital. As their numbers swell, those in power seem increasingly unable or perhaps unwilling to do anything to help. This laissez-faire attitude perhaps goes some way to explaining some of the more severe measures enacted against the UK’s more disadvantaged citizens, from workhouses and Malthusian hospices to more recent humiliations: in the last few years, significant cuts in social budgets both in Oxford and countrywide have had tragic effects on the poorest social classes. In October, the Oxford City Council announced the demolition of a 30 year-old shelter that was providing 61 beds to homeless people. Earlier this year the council came under fire for handing out £2,500 fines to homeless people who left their possessions in shop doorways.This all takes place in a city saturated with wealth and privilege: the university of Oxford, alongside Cambridge, is continually criticized for itselitist admission system, with nearly 80% of its students coming from highest social classes. As soup-kitchens and other emergency centres are increasingly refused public funding, urging charities to raise funds in other ways, food-trucks have a tragically bright future in Oxford, gathering more and more distant extremes around the sliver of street-food. “We see very different people here, it’s very interesting. This can change a lot from a night to another", Haki, the foodtruck’s cook, told me a few days later, while stuffing my burger with abundant salad. At the same time, a luxurious taxi released two or three young well-dressed men, who ordered one of the delightful (I have to say) meals prepared by the rolling kitchen. Having satisfied the most urgent hunger sitting on the neighbouring benches, all kinds of night owls take a different path. Some in taxi, some by bike, some by foot. Some stick around, preparing themselves for another night alone in the cold. NOÉ MICHALON tries his best to write decent things as a journalist studying African Studies. He tries to live in England to try to improve his English. As you see, he tries many things, including English cuisine, which is not so bad as French people originally think.